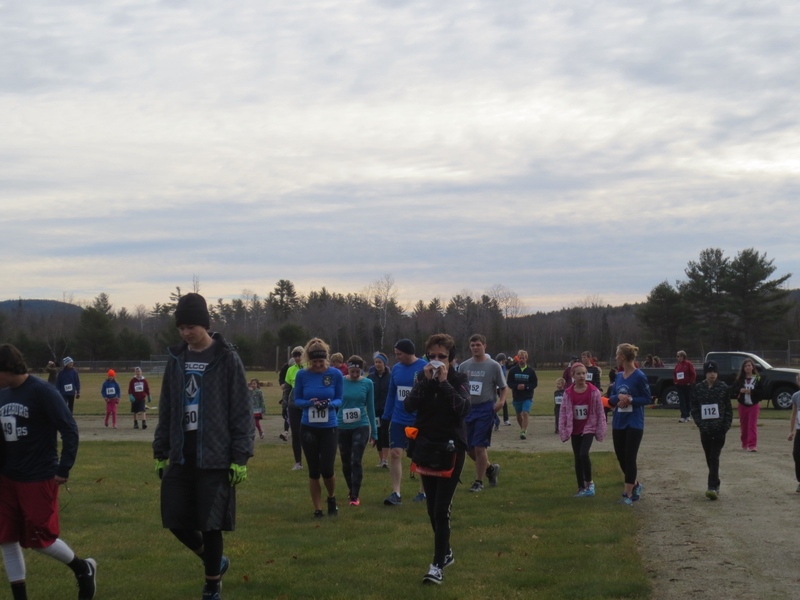 The 11th Annual Gasping Gobbler was on Saturday, November 19th and 60 runners and walkers participated in this fun 5k event sponsored by the Lovell Recreation Department. 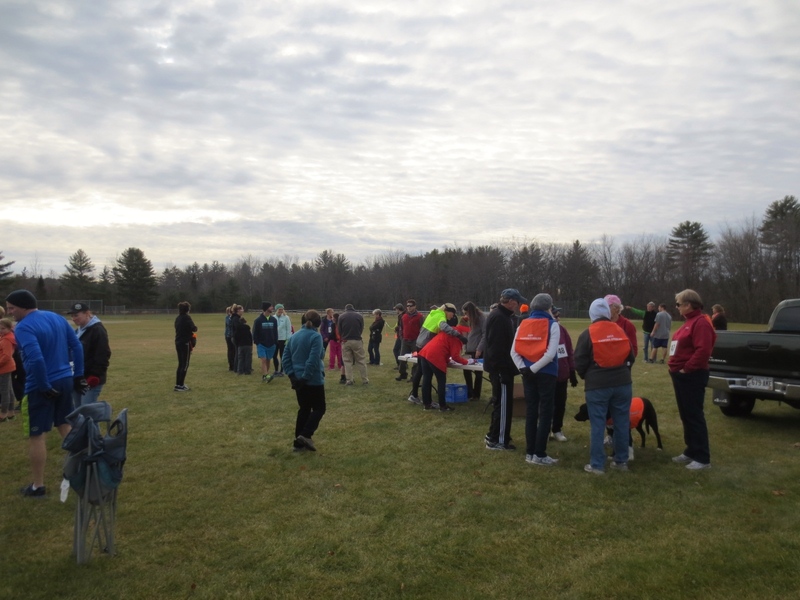 Held at the Athletic Field, the runners and walkers circle the complex three times until they reach the finish line. 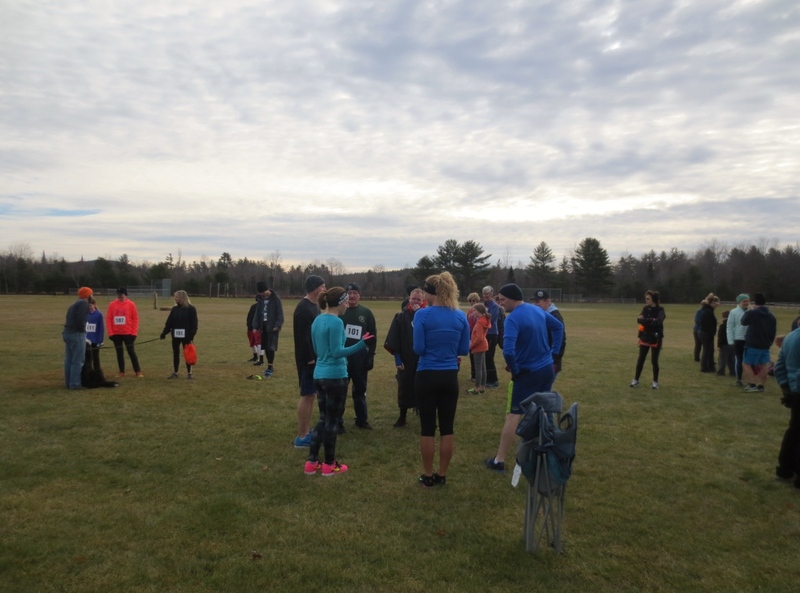 All participants received a 'one-of-a-kind' Gasping Gobbler headband. 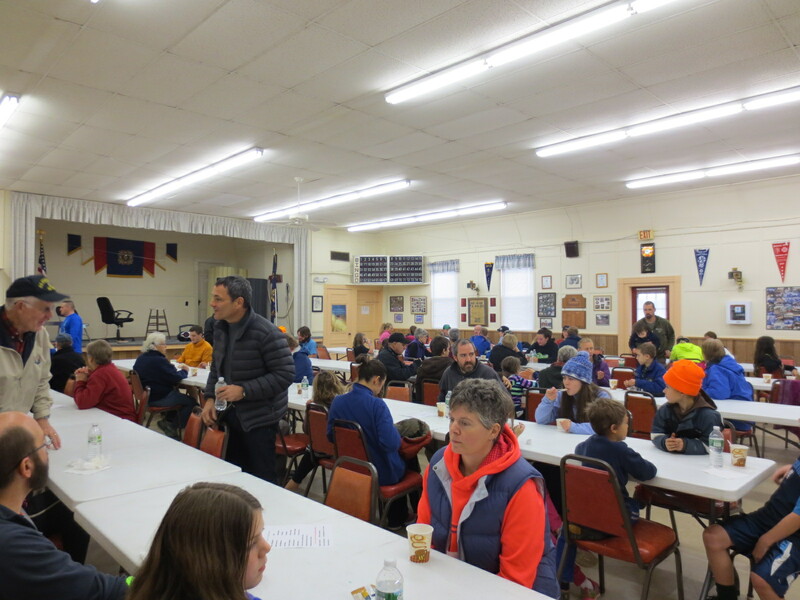 After the event, all participants and volunteers gathered at the VFW Hall where awards were given, raffle prizes were drawn and great food and baked goods were served! It wouldn't be a Gasping Gobbler without Turkeys! 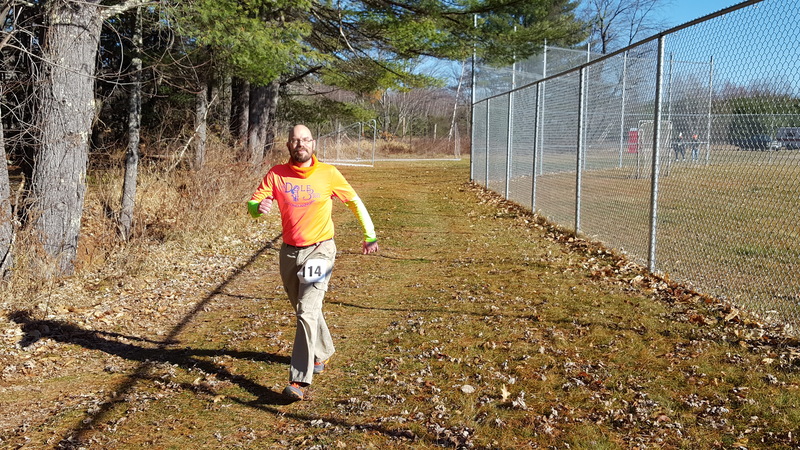 Winners were: Alfie Walker from Fryeburg was the top male and overall finisher with a time of 18:16. Kaitlyn Direnzo of Buxton was the first female finisher with a time of 24:05. Jonathan Crowe of Lovell was the top walker with a time of 44:40. 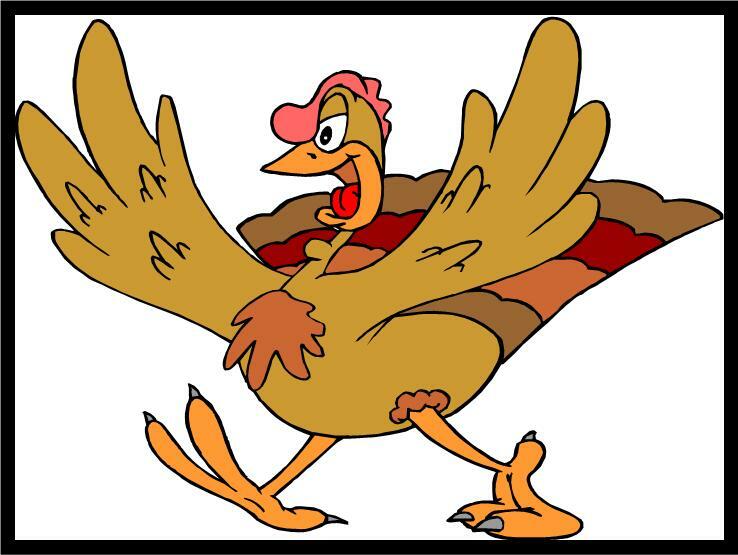 And Nancy Kluck from Bridgton won the fourth turkey for finishing in the 'Middle of the Pack'. Click here for complete results. Another fun and successful Gasping Gobbler! Making their way to the start! Prior to the awards, the crowd enjoys some hot soups and chowder. Another fun day at the Lovell Athletic Field! 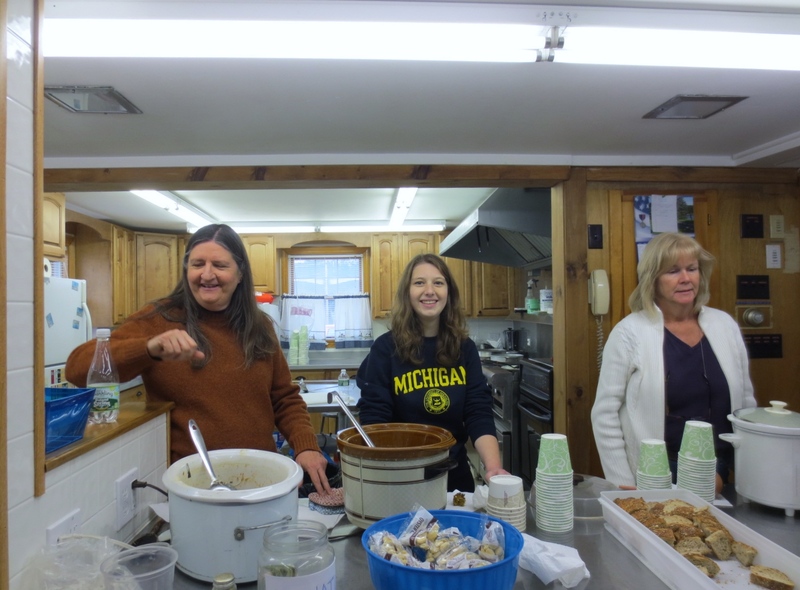 Three times around the course and then hot soup, chowder and goodies at the VFW Hall. 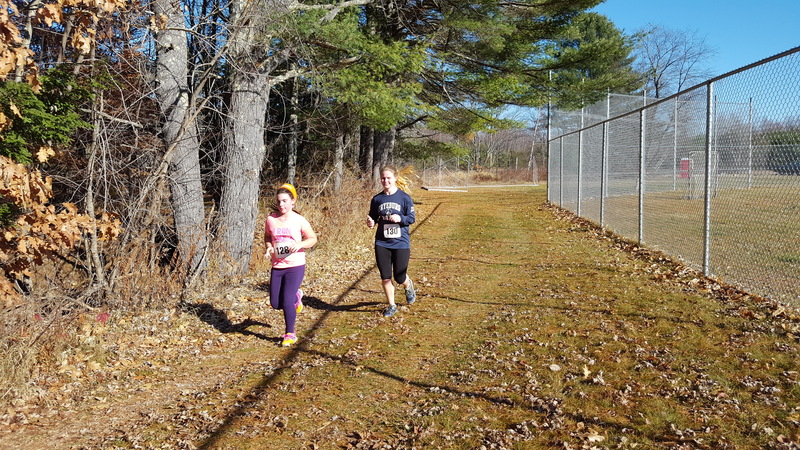 Congratulations to Parker Haynes of Eaton, NH at the best time; Janna Kurnick of Lovell was the female runner; Evan Caracciolo of Lovell was the top walker and Caleigh Crowe of Lovell won Middle of the Pack. 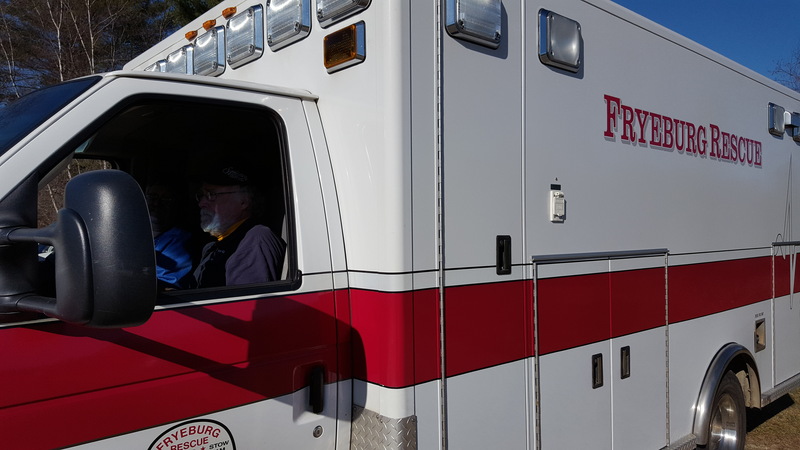 All received turkeys donated by Hannaford's in Bridgton. 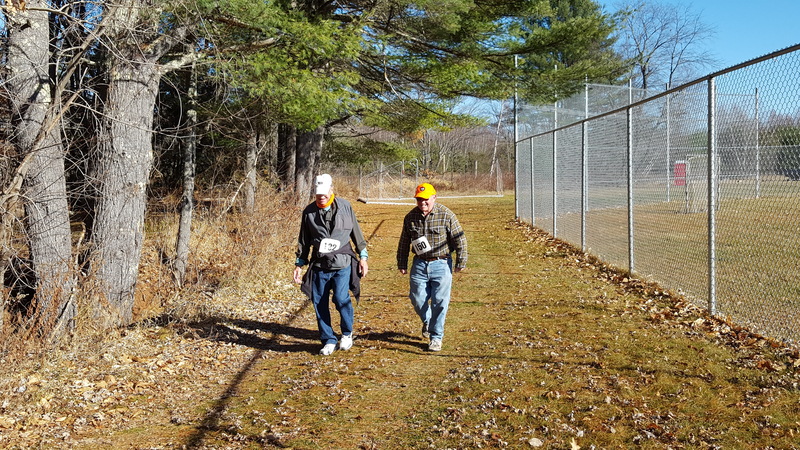 Thanks to Kevin McDonald, track coach at the Fryeburg Academy and Mark Snow, track coach at Lake Region High School for timing and keeping track of the runners and walkers. 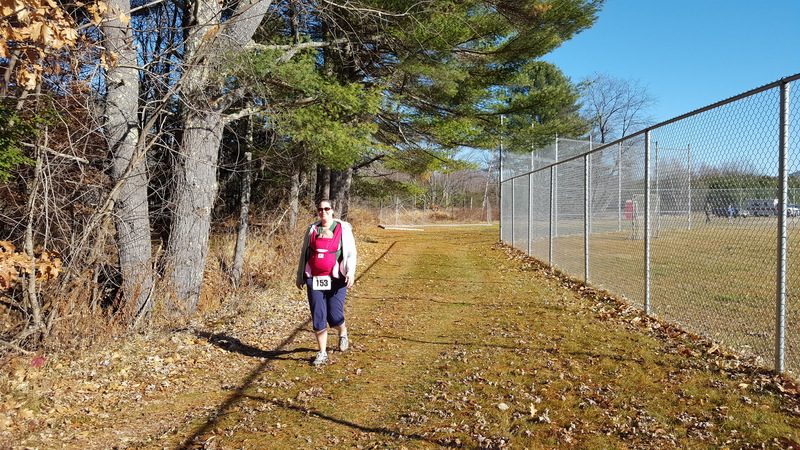 Since it seems like just yesterday that Mike Mendonca and I started this pre-Thanksgiving 5k walk and run, it is hard to believe that Saturday marks the tenth year of Lovell's Gasping Gobbler. Always a great morning going around the perimeter of the Lovell Athletic Field. 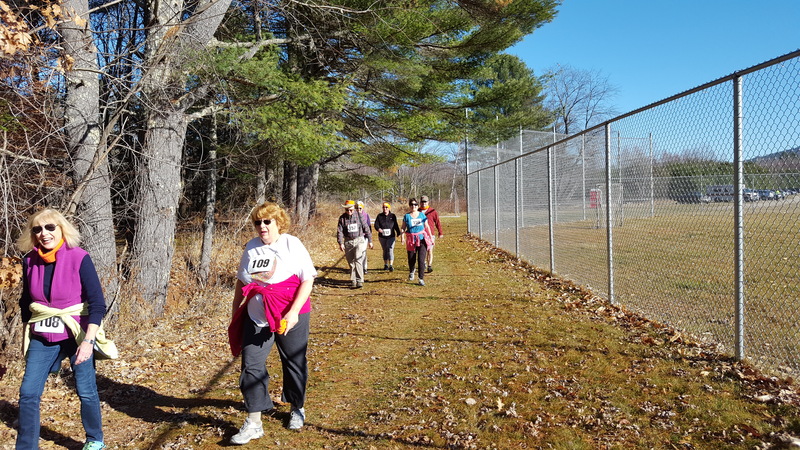 The field is a mix of runners and walkers and young and old. And there is some good food and awards at the Lovell VFW right after the race. The race starts at 10 am sharp. The first 50 registered entrants will receive a drawstring bag and turkeys are awarded to the top male runner, the top female runner, the top walker and to the lucky 'middle of the pack'. Male and female age group winners receive a ribbon. Plus, lots of nice random prizes! Please call or send an e-mail with any questions. Entry form here. All proceeds benefit the Lovell Recreation Department.